A nose bursting with intense ripe and concentrated red fruits really captures your attention when tasting this wine. Poised, minerally and velvety, this has real definition and a juicy freshness which we didn't taste in all of the 2012s. 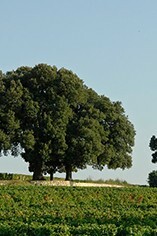 This wine has seriously good potential, and is certainly one of our favourites from St Emilion this year. What a find. Magnificent concentration but being as far away from some of the more modern styles of wine making from this side of the river as you can get. Vibrantly fresh, racy and exciting with a spectacularly long finish.In my opinion the second best wine in St Emilion after the Great Ausone for this vintage. Do try the 2000 vintage to see the style and complexity at less than half the price while you wait for this beauty to come round. Richness combined with a sense of terroir has fast become Ch. Pavie Macquin’s trademark style and the 2008 is no exception. Plush fruit from the 85% Merlot is superbly balanced by refreshing acidity from the 14% Cabernet Franc and 1% Cabernet Sauvignon. Nicolas Thienpont says that the dry weather after 10th September “saved the vintage” and he could well be right. What he omits to mention is that excellent viticultural decisions and superb winemaking skills are also responsible for creating a wonderful wine with layers of chocolaty complexity and a very rewarding finish. Bravo, Nicolas. 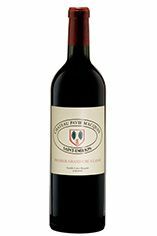 A soaring nose of ripe, almost exotic, creamy red fruit with a hint of new oak, this wine is concentrated but not pushed; it is supple, lush, velvety. This is a fabulous compliment to its brilliant 2009, with real definition on the finish that lasts two or three minutes! However, I think the 2010 takes the crown for me. A sensational Pavie Mac! Nicholas Thienpont has once again produced a range of delicious wines from the clutch of estates where he is in charge of the winemaking. Ch. 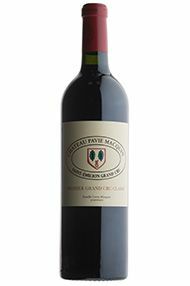 Pavie Macquin displays a tight-knit kernel of explosively ripe fruit on the mid-palate, a silky texture and beautiful balance, with enticing aromas of ripe berry fruit. Last year Nicolas managed to produce a wine of freshness and charm despite the high alcohol levels which prevailed on the Right Bank, and once again he has worked the oracle here. This has great finesse and very fine-grained tannins. Dark ruby in colour, this has a spicy, peppery nose. The palate is full of energy with a ribbon of red fruit running through it. Beyond the redcurrant fruit, the wine finishes with a chalky tannic grip.